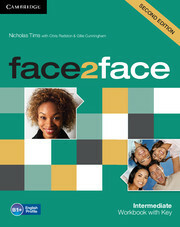 face2face Second edition vocabulary selection is informed by Cambridge English Corpus as well as the English Vocabulary Profile, meaning students learn the language they really need at each CEFR level. 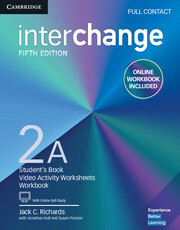 The Intermediate Level Workbook with Key offers additional consolidation activities as well as a Reading and Writing Portfolio for extra skills practice. A Workbook without Key is also available.